Samantha Derham, sustainability consultant, shares with Telana about how a lifestyle change, that women can consider, can have a significant and positive impact on their health, their finances, and the environment. They talk about the reusable menstrual cup, looking at the mooncup, and cover concerns about using this sanitary product and its many benefits. They also touch on the challenges in developing countries around the cultural taboos around menstruation, the effect for women with their monthly periods, and how the menstrual cup could be a solution. Samantha Derham has been passionate about doing her bit to help protect the environment since a young child. She grew up in South Africa and at school her best subjects were Biology and Geography and all of her projects were chosen to expand her understanding of the environment. She further pursued this passion at the University of Auckland in New Zealand and achieved a BSc covering Biology, Geography and Environmental Science. 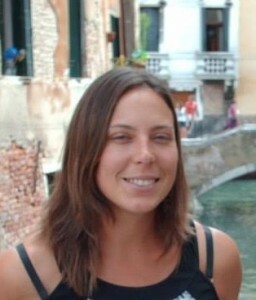 After graduating she worked at the Auckland City Council in environmental planning consents. After that she returned to South Africa where she worked as an environmental consultant, and then as an environmental advisor and project manager for a small NPO. Since then she has been working for herself on a range of environmental and sustainability projects, and selling a range of products that help to reduce our impact on the environment, including PV solar, water harvesting, biogas, EM and bokashi products and reusable menstrual cups.